I’m frequently asked advice on Marketing strategies and what is the key element to a successful campaign, and there is no real answer other than Businesses with a clear purpose perform better and are more likely to succeed. Knowing your own products/companies direction is key, but making sure you’re customers are understanding that direction is what helps a business even during the most frustrating of times. The most effective way to convey your product direction is thru Press Releases, social media and blogs, Keep your customers updated on what you’re up too and they will too. This is why today we are taking a closer look at MyPRGenie.com who says to have just that as a one stop shop. While the site touts tons of features for each, the main differences aren’t that difficult to spot. The cheapest of all being the free version gets one of your releases a month distributed to your own network, which you are required to upload following their format. Nothing to wow about this, but at least it lets you send out a press release without worrying about your email getting flagged as Spam. – One SEO Online Newsroom: Here media can sign up to follow your releases at the same time it’s a great tool to introduce yourself to new media who haven’t heard of you. – You also get Unlimited Release distribution, to your own list ofcourse. – Gives you more Social media support allowing you to not only post directly to your own accounts but also allows you to post on to MyPRGenie’s Twitter and Facebook feeds. This option is great for business who have their own media list, and want an easy effective way to distribute their PR to their list as well as social media channels with one single click. Similar offerings tend to cost anywhere from $80 – $400 a month . This option is actually pretty interesting and my thoughts where this is specifically geared to those companies who manage several brands. The reason I say that is that there is only one difference between Basic and Pro being that it allows you to create multiple Newsrooms. This tool is a great tool not only for companies wanting to distribute PR for multiple brands all thru one account, but also for agencies who manage multiple brands and need an effective way to manage all the releases efficiently and effectively. The “Premium” package, in my experience, is often the most misunderstood. MyPRGenie, along with every other known press release site, has long been treated differently by Google. The links from within your press release, with or without anchor text are not going to give you much (if any) “inbound link value” in the eyes of Google. The Premium option comes with everything included in the Basic and Pro options as well as distribution to an additional regional or vertical media list which MyPRGenie, allows you to create your distribution lists from, including premium vertical publishers (like PCWorld.com or even Gartner) and the ability to embed an image within your release. In addition to that increased distribution, you also get a powerful real time analytic /stats allowing you to view how many people and exactly who viewed your content. Info includes first name, last name, outlet, circulation, phone number and email. MyPRGenie makes it incredibly easy to get your release in front of the right people (your release will need to do the rest) but it does have a few caveats you should be aware of. Links, even with the Pro package are limited to 2 per release (Premium has no limit). MyPRGenie’s reasoning is probably that Google News seems to prefer this ratio and anything above it risks the release not being included in Google News. Since press releases traditionally are supposed to be short and to the point, you might find you quickly run out of links and are then editing your release to bulk it up to get another link or two in. However, note that if you contact MyPRGenie and explain you’ll take the risk of not being included in Google news, they will allow your release to go through providing the number of links isn’t excessive (aka obvious spam). Well I’ve been using MyPRGenie with success for a few years now. Our releases are well written (in house) and I admit that up until this review I didn’t realize how powerful and how many useful tools the Premium package came with. We used the Pro Package for a couple years, and I don’t think we can ever go back. 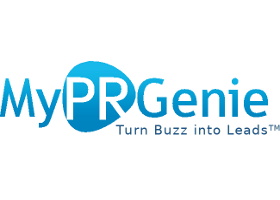 MyPRGenie.com is an easy to manage, affordable and efficient service which offers its users a variety of packages to submit/distribute press releases. In particular the ability to manage your own blog, Images, videos, and. All of this means that readers can quickly scan through a release and get a good idea of its contents, perhaps choosing to look at it in more detail thereafter. You can also schedule your releases so that they come out the next day, in a week’s time or a year from now, which means you can make sure your release receives a constant stream of viewers and doesn’t simply fade away after a couple of days.